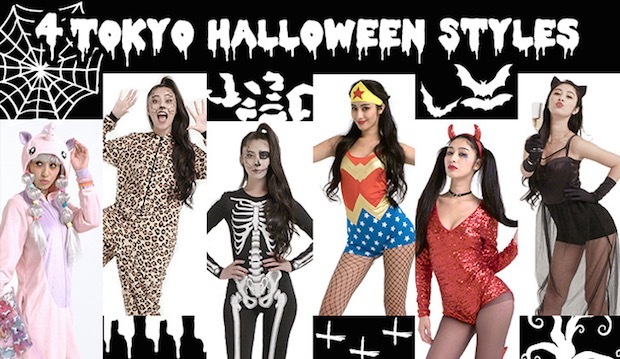 Halloween is almost upon us, and H&M is currently showcasing what it claims are “four Tokyo Halloween styles”. In a video, the model Seria Kawachi goes through several quick costume changes to demonstrate the styles. These are divided by area: Shibuya is “social girl”; Roppongi is “party girl”; Harajukua is, inevitably, “kawaii girl”; and Akihabara is “comic heroine”. Osaka isn’t left out, either: apparently the style there is “flashy girl”. “What’s your Halloween style?” H&M asks, inviting young consumers to head to the fast fashion chain to deck themselves out in its special Halloween line. H&M would seem to want to compete with the likes of Don Quijote, which is the store of choice for people to pick up cheap costumes. Well, we are about to find out if H&M’s predictions are accurate, since it’s almost that time of year again. 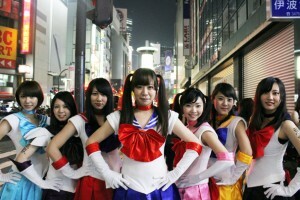 For some time, cities around Japan have seen foreign residents celebrate Halloween while riding trains and drinking. This is especially prominent in Tokyo and Osaka where there are loop lines (Yamanote and Kanjo lines, respectively), leading to entire carriages filled with costumed English teachers getting progressively more and more drunk as they make circuit after circuit. The so-called “gaijin train” bacchanalia phenomenon dates back some two decades but police have cracked down in recent years, attempting to block large groups of foreigners in costumes descending on stations like Shinjuku. The annual gathering even started to attract ultra-nationalist protests, leading to chaotic and ugly scenes on the platforms. Needless to say, this all causes trouble for the rail companies and other passengers. 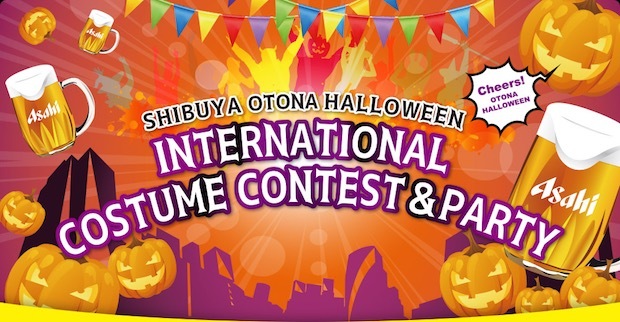 Tokyu wants to encourage people in costumes not to mob their trains and instead gather at Hikarie in Shibuya for a more formal costume contest, called Shibuya Otona Halloween, on October 29th. “Otona” means “adult” — Tokyu seems oblivious to the other implications of their naming, though alcohol is available at the contest, suggesting that Tokyu really hopes this is enough to stop people riding the trains. In fact, such a belated initiative has been overtaken by events. The “Halloween train” is no longer an expat ritual and the party has spilled out into the streets. Halloween has really taken off in Japan in recent years, though in customary Japanese style it has also been somewhat appropriated for local tastes. Forget trick-or-treating for kids. Halloween is essentially an excuse for a massive cosplay street festival by young people in their late teens and twenties — and not just on Halloween, either. Instead, the weekends leading up to October 31st and even afterwards see city centers, especially Shibuya, transformed into a veritable flash mob of costumes, most of which are tangential or even totally unrelated to Halloween. 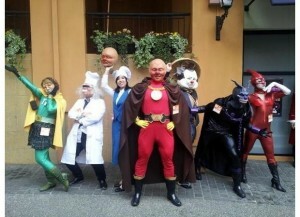 It has become even more general and accessible than regular cosplay, which is ostensibly limited to dressing up as characters from anime and manga franchises. The history of this is a little unclear, though surely the annual influx of costumed foreigners into Tokyo had an incremental influence over the past two decades. Various cities and areas also started holding Halloween costume parades and events — a major one in Kawasaki, for example, is 20 years old this year — and this seems to have led to the situation in central Tokyo today. The vogue has reached such levels that police are deployed in Shibuya and elsewhere to deal with the throngs of young people dressed up as Mario et al. Last year, Scramble Crossing was effectively shut down by police in order to prevent revellers from occupying the roads at the intersection. Similar mobs also happen spontaneously in Shibuya on and around Christmas Eve and New Year’s Eve, and after major sporting events. For now, the numbers are too high for the authorities to control completely but we wonder if the fun will continue to be tolerated in the lead-up to 2020. This year, at any rate, the police are seeing sense and turning the main streets of Shibuya into temporary pedestrian zones each night from October 28th to October 31st. The masses have triumphed, for now at least.